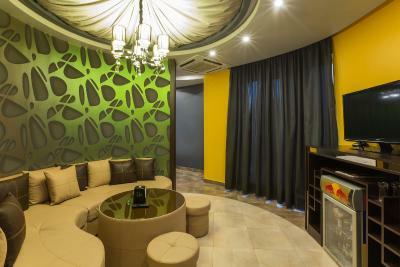 Lock in a great price for Green Palace Hotel – rated 8.8 by recent guests! It was one of my most delightful stays! The staff of the hotel was very kind with us and helpful. Also the rooms and the hotel in general were very clean. The breakfast was very goodand delicious. The hotel it wasnt so far from the city center but you needed taxi to go, about 5’. But anyway the taxi in Armenia it is so cheap that you will never have any problem. I had a great time, equally good if not better than the last time I was here. 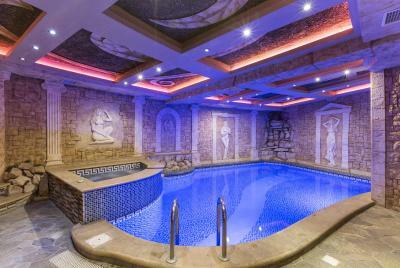 Specially enjoyed the spa and the swimming pool. 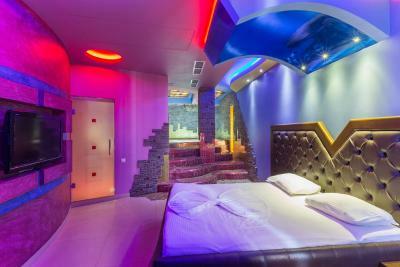 Would definitely recommend the hotel to everyone visiting Yerevan. 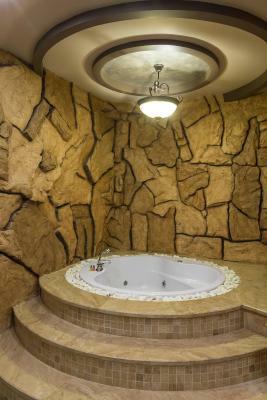 Room size is huge with jacuzzi. Staffs were professional shout out to their very lovely manager Ms. Sose! She was very accommodating. One staff is really helpful, while other staff have limited ability to speak English. Staff was so helpful and nice specially the manager. This place most of the staff know English. Yerevan is a small city so location is not big issue as taxi fair also very cheap. Great hotel, nice swimming pool area, good breakfast. The hotel staff were very friendly and cordial especially our host who works on the reception Sose yeghoyan she made our stay easy. The hotel was clean, delicious food and accessible to all the entertainment they have. Nice and clean property. Very good breakfast and amazing room design. Good location, good stuff. Overall a very good stay. 10 out of 10!!! 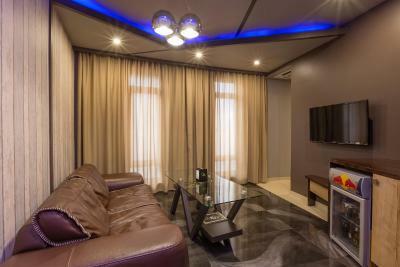 Green Palace Hotel This rating is a reflection of how the property compares to the industry standard when it comes to price, facilities and services available. It's based on a self-evaluation by the property. Use this rating to help choose your stay! 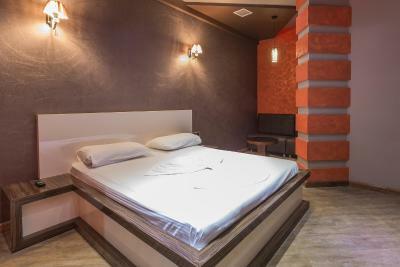 One of our top picks in Yerevan.Located in one of the most peaceful parts of Yerevan, this hotel offers free WiFi, parking, indoor and outdoor swimming pools. 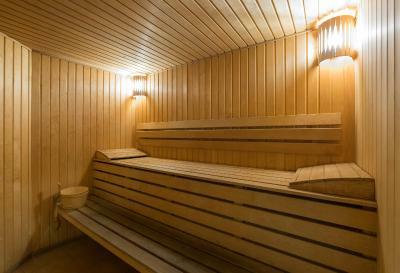 A hot tub, a sauna, and massage service are also featured. 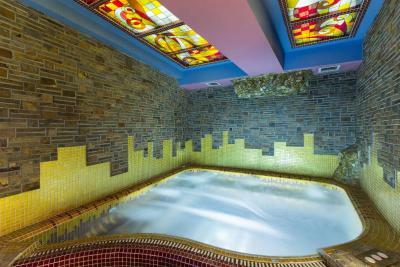 Green Palace Hotel is on the edge of Yerevan Zoo and Water World. Botanical garden is a 2 minute walk and the city center is 5 minutes away by car. 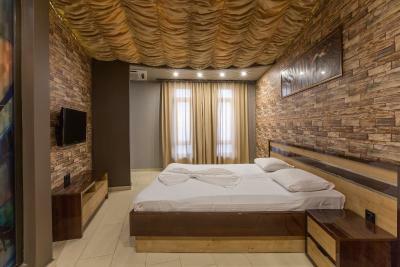 Air-conditioned rooms at the Green Palace are individually decorated and feature flat-screen TVs with satellite channels. 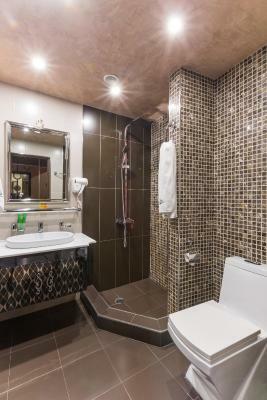 Each room has a mini-bar and private bathroom. 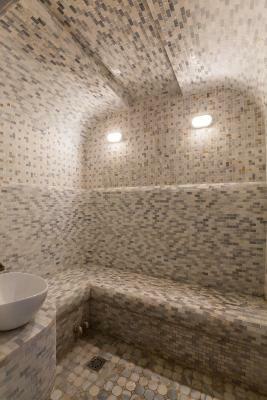 Some units offer a spa bath and a balcony. Breakfast buffet is available at the top floor taverna. A selection of evening meals can be ordered from the hotel’s kitchen which operates 24 hours. 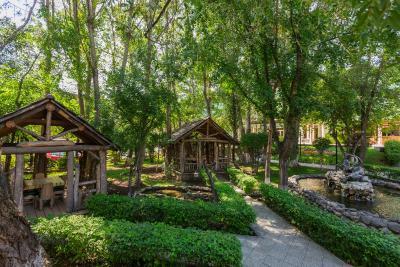 Guests can also enjoy their time at the beautiful garden in the hotel area. 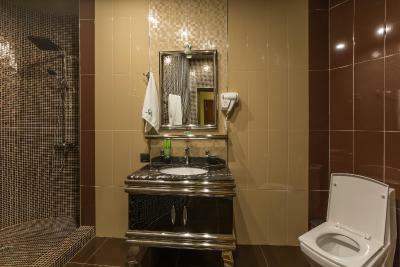 Other hotel facilities include spa area & hammam, sauna with water slide, bar, luggage storage and laundry services. 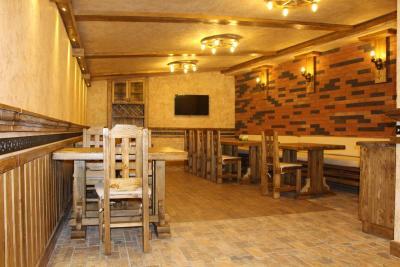 Zvartnots International Airport is a 20-minute drive away. Shuttle services are available for free. 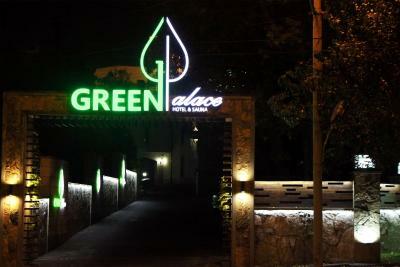 When would you like to stay at Green Palace Hotel? 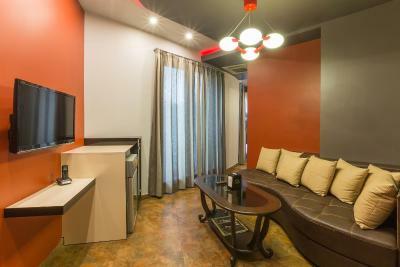 Individually decorated suite featuring air conditioning, a seating area, cable TV and an private bathroom. 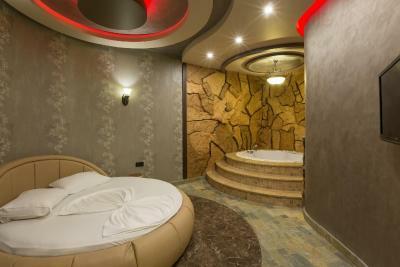 This spacious suite includes 2 bedrooms, 3 flat-screen TVs, a balcony and a spa bath in the bathroom. 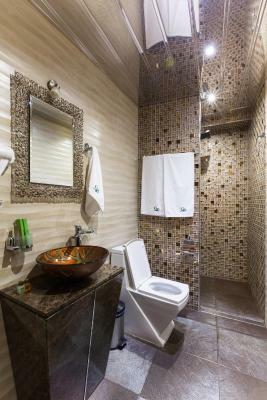 This individually decorated suite features air conditioning, a seating area, cable TV and an private bathroom. Some of the rooms have a balcony. 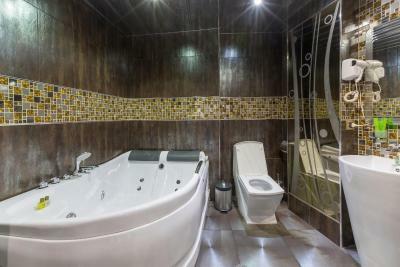 This spacious suite includes 2 flat-screen TVs and a spa bath in the bathroom. 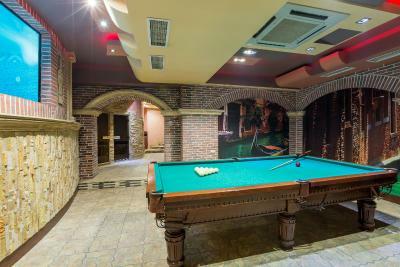 This suite offers 2 bedrooms, a sauna, steam bath, billiards and a private entrance. 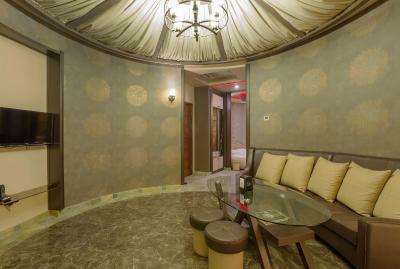 This individually decorated suite features air conditioning, a seating area, cable TV, mini-bar and an private bathroom. 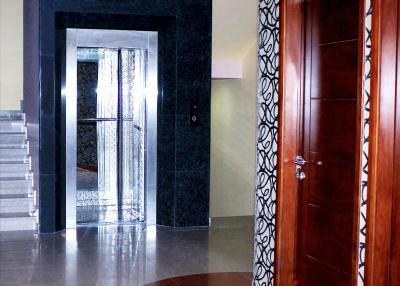 We are very flexible and always find best solutions for any unexpected issues. 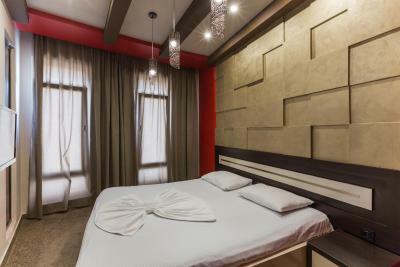 We can organize all the guests need during their stay here. 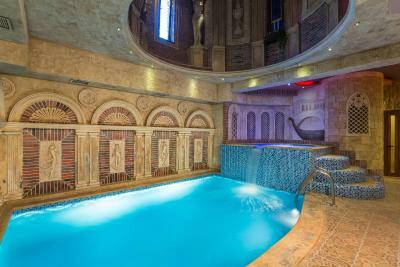 House Rules Green Palace Hotel takes special requests – add in the next step! Green Palace Hotel accepts these cards and reserves the right to temporarily hold an amount prior to arrival. 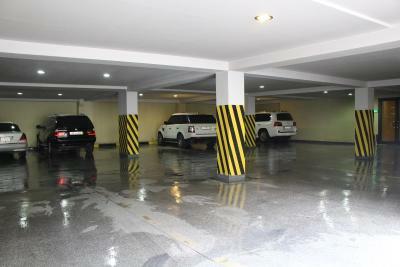 Please note that the property offers free shuttle service from the airport to guests booking more than 3 nights. 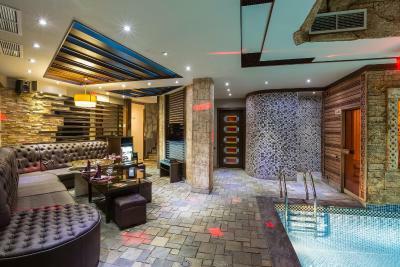 During the seasonal closure of the outdoor swimming pool, the hotel grants access to the indoor swimming pool to guests every day 10:00 - 15:00. 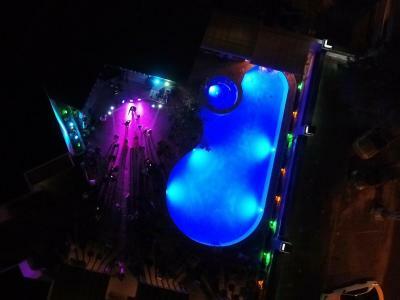 The hotel reserves the right to close the outdoor swimming pool for private events. Please note that the swimming pool is now working. Please disregard the information about the construction works. Great staff especially Edgar who was very very warm & went out of the way to show us around. Everything from the food to our requirements were fulfilled. Highly recommend. 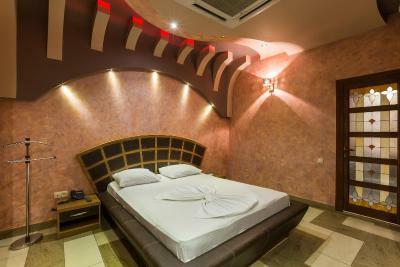 Very clean and spacious room, with a comfortable bed and amenities. 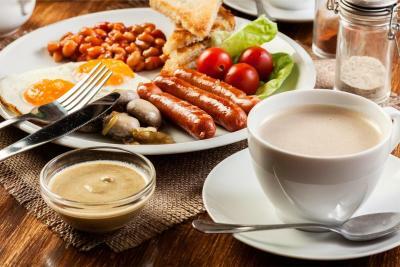 Excellent and filling breakfast. Attentive and hospitable staff, ready to help with all my queries. Highly recommend for a peaceful stay. I will recommend it for sure to evryone ! Great place, great people! Great breakfast, great rooms, great stuff and facilities! I’m very very disappointed on this hotel. 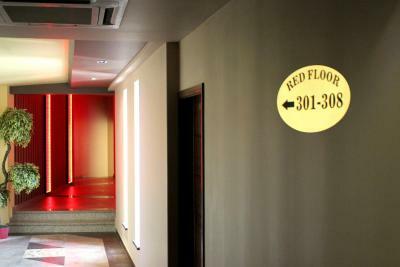 They will not tell you all the informaton about the hotel, unless you didn’t ask. All the receptionist will give you wrong information. And they didn’t have the same decision, the other receptionist told me that i will be moving to other room, because i request to change my room because i don’tlike the smell of the toilet, and the other receptionist told me that i’m not going to move. And i order 2 fried eggs and they give me omellete🙄🙄🙄 And i want to use the swimming pool, they told me that there is allowed time 10-3pm so i told them why they didn’t inform me, they told me because i didn’t ask🙄 so you need to ask them everytime but then i told them it’s their job to inform me at the first place when i arrive there they need to tell me all the information. I’m not going back here. Not walkable to and from center Yerevan but it’s only 5 minutes ride with minimum taxi fare. Foods prepared were tasty and delicious and staffs were polite . The staff at the hotel were very friendly and professional, particularly Sose on reception, who was excellent and gave us all of the information we needed for our stay (including tips on sightseeing, transportation and food)! The swimming pool was nice and our room was large, clean and comfortable. With took a day-tour with Edgar, who was extremely knowledgeable, full of information and made our trip very enjoyable. 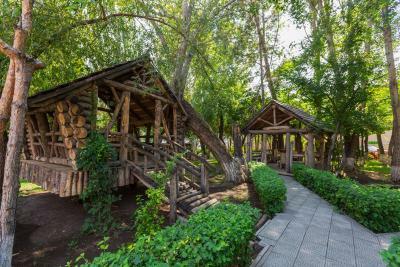 The hotel is an easy 15-20 minutes from town by trolleybus (a great adventure in itself and a fantastic way of meeting Yerevan's always-helpful, friendly locals). we like every thing . The stuff were really helpful especially Sose. She was really attentive and helped us a lot throughout our stay. Great job Sose!! !